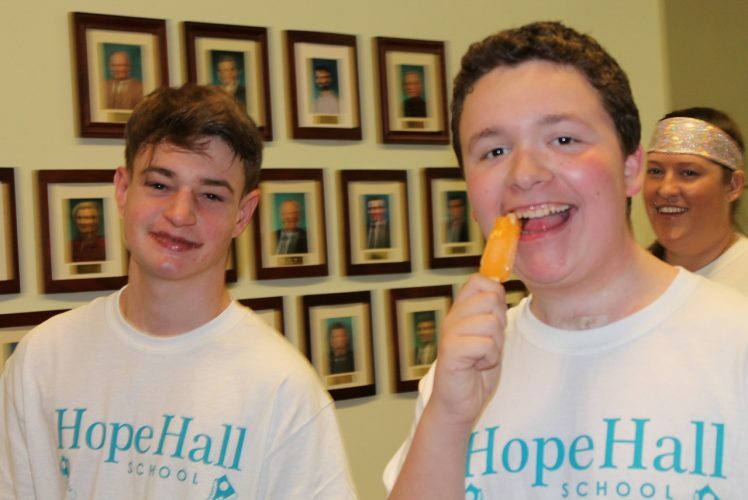 There are 8 days left to support Hope Hall School’s Annual Walk for Hope Fundraiser! Collectively, Hope Hall has raised $18,290 toward our $30,000 goal for this event! We are now over 60% of the way to reaching our fundraising goal. 100% of the funds raised from the Walk will help support our $2.7 million dollar Operating Budget. Two-thirds of our Operating Budget is raised from individuals like you who love Hope Hall! Monetary donations for the Walk will be accepted through 3:30PM on Wednesday, May 23rd. Please submit a completed Walk for Hope Sponsorship/Gift In-Kind Form along with your payment to Ms. Pierleoni at the address below. If you are sponsoring a specific student, please include their name on your form. We are also still accepting gift in-kind donations to be used as prizes for our top student and faculty/staff fundraisers through Friday, May 18th. Headphones, ear buds, auxiliary chords for iPods, iPhones, Androids, etc. We cannot accept gifts intended for children below age 8. Thank you. All gifts that fit the above criteria are greatly appreciated! *Please note that we cannot accept any more lunch guests the day of the Annual Walk for Hope Fundraiser on Thursday, May 24th. We are now past the lunch deadline (May 11th) and at capacity with guests for our lunch order. Thank you for understanding. Thank you for supporting our Annual Walk for Hope Fundraiser!